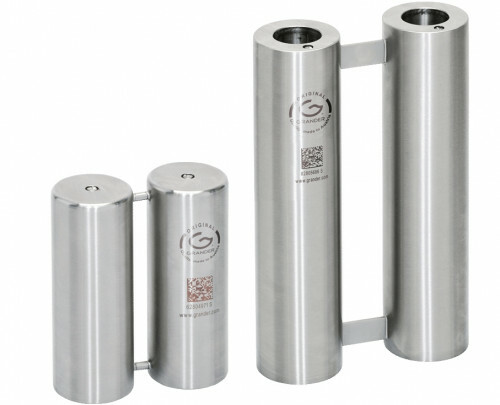 The GRANDER® Energy Rod Double is available in two sizes for submersion in suitable locations. GRANDER® Energy Rods are used for pre/post-revitalization in combination with a GRANDER® Inline Unit. GRANDER® Energy Rods have proven to be outstanding when used in standing water. This holds true particularly for water tanks piled up (i.e. on ships) or for water in storage. In drinking wells and containers, the use of a large double cylinder (for a maximum of two households) is recommended in order to maintain the revitalization in treated water. GRANDER® Energy Rods work with natural energy, without electricity or chemical additives, and are serivce and maintenance free. The GRANDER® Energy Rod Double and Energy Rod Single are made of V4A stainless steel.